Once you get on Monster Carnival Island, go right, there’s a guy there, his name is Edgar. He says he doesn’t think the carnival will be ready in time! Go through the next area, and you see this guy in front of The Ferris Wheel, he says the lever is broken and you need to fix it. 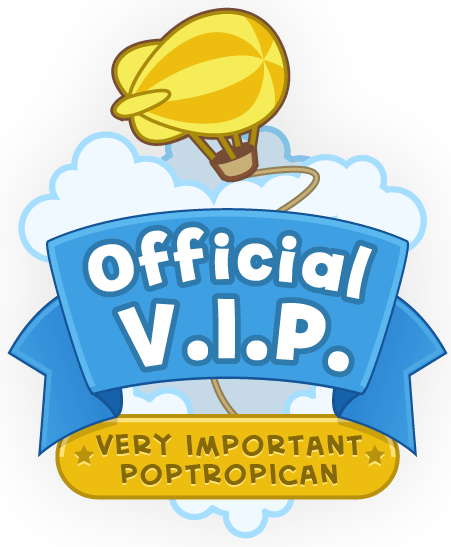 Once you finish talking to the guy, go right to the next area with the big poptropicans head, and you see the lever, pick it up, and go left back to the guy. Once you get back to the guy, give him the brand new lever, he says you you saved the day! Now, go back to main street and make the chemicals at Apothecary, the doctor (Dr.Dan) up front gives you a chemical formula you need to make for him (make table salt) Here’s a chart to help you! To make Sodium chloride (table salt) mix Sodium hydroxide and Hydrochloric acid, the bottles are located on the left side of the machine. When you click on the bottles, your character puts them in the machine. Match the light blue to the dark blue, and light yellow to the dark yellow, blow the yellow and blue compounds apart with the blower. When you get the sugar, go back to Powdered Sugar lady, and give her the sugar. She says thanks, and gives you Fried Dough, Now time to get the hose! Go back left to Honest Gabe’s auto shop, and click Radiator Hose instead of Garden Hose. Pick up the hose and bring it to the guy at the Duck Game, the hose fills up the pool. The Edgar guy comes and says they can open the carnival! Once you finish that, it turns afternoon, go to the game where you throw darts at the balloon and pick up the Blunted Dart. Now, run to Honest Gabe’s and go left and sharpen the dart. Once your done go back to the carnival, Play the Pop the Balloon game. Once you pop one balloon, instead of a teddy bear, you get a plastic cup! BEST.PRIZE.EVER. Once you finish the game, hop up and let the guy with the scale guess you weight. After he guesses correctly (no prize) go back to the Apothecary shop, once you get inside you want to something heavy, but you don’t want to fool him. So click on the little orange box. Once you click on the box, click the card inside it and get the Osmium. Now, go back to the weight guesser and let him guess your weight. When you outsmart him, he gives you a Bouncy-Ball. (Warning: you glitch out sometimes here, Log out and back in, it will fix the problem). After you get the Bouncy-Ball, go right to the next area, and do your test your strength game. Use the Bouncy-Ball so you can win the Test of Strength game, it bounces off the ball, and you win a hammer! Now, go left back to the diner and use the cup you got. You get a cup full of Fry Oil, go to the Ferris Wheel, and use the fry oil to grease the gears. When the kids get down they go to the Tunnel of Love, you talk to the guy in front of the Tunnel of Love, he says there’s policies, so he gives you a flashlight and tells you to go to the lab (to the right) and get a mask to scare them out of the Tunnel of Love. Once you get the Fly mask, go into the Tunnel of Love, and watch a weird kissing scene…..
What a way to ruin the moment! The people you scared ran away, so run 2 areas to the right and into the woods. Follow the debris (Sorry can’t help you here, because the directions are randomized) Once you finish, there’s this guy hypnotizing the workers at the carnival! He says there supposed to serve him! Once they finish transforming, it turns night. Go back to the carnival, and jump on this can to avoid the hunky cat monster xD. Now run past The Tunnel of Love and Merry-Go-Round, and jump over the monster, and run into the next area. Follow Edgar into Ringmaster Raven’s Tent, he says there’s a formula to reverse them from monsters and it’s in The Ferris Wheel guy’s back pocket. So leave the tent and go right to Ferris Wheel. When you get to the Ferris Wheel, equip The Hammer and strike the ground via spacebar, and the monster will fall to the ground from the Ferris Wheel. Once you finish go inside the haunted house, a monster will chase you (No big deal xD) turn on your flashlight and just run way! Once you reach the top you get the Black Lightbulb on top of the shelf. Once you get out, go left to the Duck Game, while your running there, you see a Big Glob Monster! After you get the formula, go to Honest Gabe’s (pharmacy is closed), and hop on the first pedestal, then press the red up button. When you reach the top, hop on to the second one and mouse over the broken vent. Once you finish you get Sodium Thiopental, now leave the building and go back to the carnival, specifically the Ringmaster Raven’s Tent. When you get into the tent, Edgar is evil, and he kidnaps you and puts you in a chair! Ringmaster Raven is evil! To get out the chair used the Fried Dough to un-hypnotize Edgar. When he’s un-hypnotized, he releases you and Ringmaster Raven runs into the Hall of Mirrors. When you get inside, he’s hiding behind one of the mirrors, equip your Hammer and use it near where he’s hiding in. Then It goes to the next day and you get your medalin from Edgar! Congrats! When you finish talking to her, run to the right into the forest. When you get there, Dr. Dan is in the forest, he’s cowering saying stay away from me! He runs away, follow him up the rollercoaster, and he says he’s a monster, he says he needs a cure, so run past him and jump off the roller coaster and pick up the Mushrooms. Once you get the Mushrooms, hop up the roller coaster and go left a couple of areas to the left to Honest Gabe’s and the Pickle Juice is on the shelf. Now go to the Apothecary Pharmacy to the right. Once you get inside, click on the Soda Machine for the last ingredient, and go start working on the formula. When you finish the formula, You get Chemical X, run back to Dr. Dan, he grows horns…..He says he’s forced to leave town, but the townspeople come at the last moment and tell him that they want him to stay. So he gives you back Chemical X, You use it, and you look like the mean goblin from earlier on Monster Carnival! You can’t keep the costume, even if you try to save it to your costume closet. Anyway, Congrats on beating the Bonus Quest! I hope you enjoyed this guide! Like it if you did! Also if you like cars here’s a pic for you! This is my baby! No touchies! So you already made the sugar but she’s not detecting it? Sorry, but I’m not sure what you’re referring to. What do I do if I go to the diner and click on the cup for the fry oil, but my character keeps saying “I’m not thirsty right now.” ? Have you done all the other necessary steps? Double-check to make sure that you completed what you needed to first. Pingback: Guides and Guides! 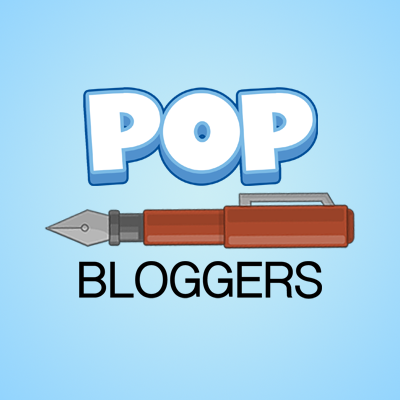 | !Poptropican Awesomeness!